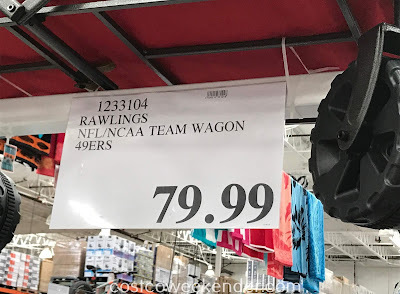 Show your team spirit while you haul stuff to the nearest tailgate in the Rawlings NFL/NCAA Tailgate Team Wagon from Costco. We've seen foldable wagons before at Costco. But the Rawlings NFL/NCAA Tailgate Team Wagon is bigger, has larger wheels, and more importantly, shows off your team colors and logo. 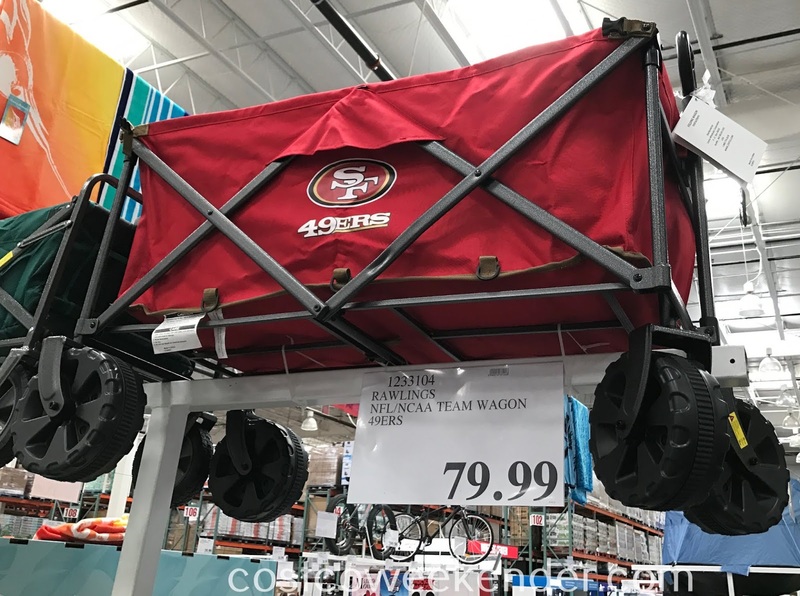 These foldable wagons are useful in hauling stuff to the beach, the park, and the farmers market. It is somewhat heavy but I presume that's part of what makes it so durable and industrial. It was really designed to haul around heavy things since it has a 100lb capacity. 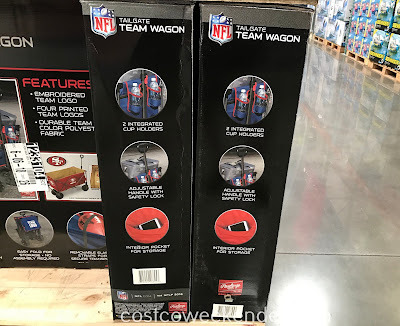 The Rawlings NFL/NCAA Tailgate Team Wagon's larger and wider wheels make pulling the wagon on sand just a bit easier. 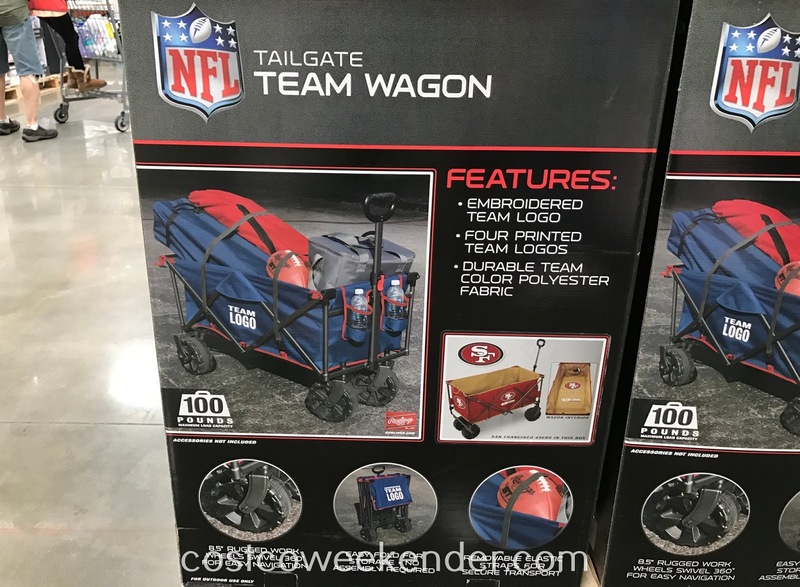 But the more stuff you put in the wagon the more difficult it will be to pull on sand, even with the larger wheels. So prepare for the upcoming NFL season and root your team on with the Rawlings NFL/NCAA Tailgate Team Wagon. 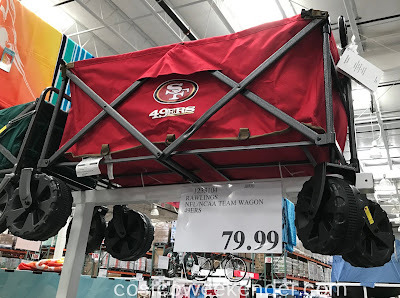 The wagon at my Costco had the San Francisco 49ers logo on it, but I'm sure it would have the local NFL/NCAA team in your area at your nearby Costco.